©1981 C.J. 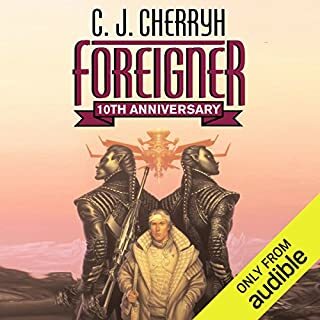 Cherryh (P)2012 Audible, Inc.
Would you try another book from C. J. Cherryh and/or Brian Troxell? I love all of C.J. 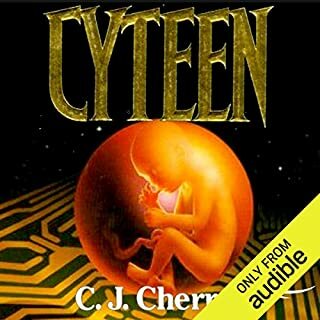 Cherryh's Union/Alliance books (except maybe Cyteen) and was totally thrilled to finally see Downbelow Station as audiobook available here. Didn't even bother to listen to the sample - just clicked and downloaded it. But what a disappointment ! This narrator manages to turn a great book into a dull, boring monologue that drags along. He is totally unable to convey the thrill of a situation, manages to make any description sound tedious. The various voices he attempts are so wide off the mark that he makes those characters ridiculous. Just listen to how he butchers Mallory and Graff ! Mallory and Graff, two of the toughest characters in the series with whiny, high-pitched voices ? Hello ? All I can say is that this narrator does not deserve even 1 star and that I will avoid him like poison from now on. C.J.Cherryh's Union/Alliance universe is one of the most interesting, most probable and believable universes in SF. All of the Company War books are exciting, intelligent and most satisfying to read. By using a decent narrator ! I LOVE this book and am very, very sorry to see it killed by that narrator. This is an Audible Frontiers book, isn't it ? 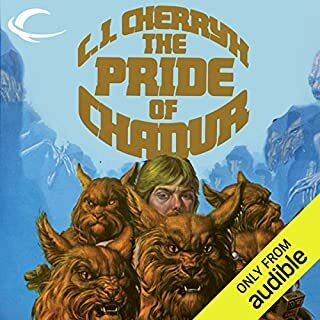 So if you produce any more of C.J.Cherryh's books, PLEASE PLEASE use good narrators ! Her books certainly deserve the best ! I hesitated a long time due to other reviews, but I found the narration to be very good. The pacing was good, the reading clear and accurate, the characterizations consistent and believable. Some were a bit nasal, but not whiny in my opinion. Most of the characters (including Mallory and the hisa) apeak within the first hour of listening, so if you don't like it, you can return it before becoming too invested. Go ahead, give it a try. I'm sorry I waited so long. I think Brian Troxell's narration suited this masterwork very well; despite the intricate plot and multiple viewpoints, I almost never had to skip back, nor correct some mistake. A 4 star narration, and a 6 star book; a 5 star experience, well worth a full credit. What did you love best about Downbelow Station? Humans care for and love (Platonicly!) another intelligent species of aliens, while the enemies are humans in this story. I liked the political situation, and how even the people who were supposed to be good guys, were put into situations where they had to make hard decisions! The quick exposition on the history of space flight was believable, and gave just enough details to set the perfect stage for this story. Damon Konstantin, arguably the main character of the story, shows a deep compassion for humans, and alien life alike. His losses and triumphs made the story for me. The part where Emilio on Down Below sends away the guards, due to mistreatment of the Q people, and suddenly realizes he has no security personal at his base. This realization that people from Q can be trusted seems a turning point in the story, and is a testament to man's ability to trust others, and form the bonds of society. Several of the scenes with downers moved me, as they showed their reverence for certain humans, and their simple caring/loving attitudes. Also the flip side of humans showing compassion for the downers, seeing them as different but equals. Many people complained about Brian Troxell's narration of female voice. I have to agree they were nasal and not particularly good, but I managed to look past that and enjoy the story. I had been looking for a story like this, and Down Below Station fit exactly what I was looking for. This is a great book, about refusing binary thinking. The answers in the end are the unexpected things around the corner. It's a sort of a god out of the box answer. Its about loyalties between people who really aren't in similar worlds. It's an old book but it's so worthy. Some of the voices are a bit whiny. I found that troublesome, but it didn't ruin my enjoyment in the book. 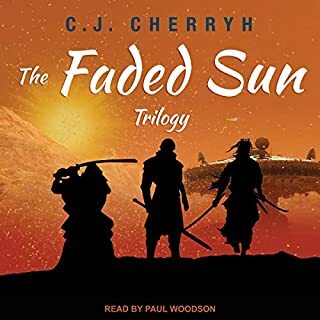 I love Cherryh's Known Space series and will buy any of them in Audible, except if Troxell is involved. His murdering of the female characters is akin to what Highlander 2 did to Highlander! Have I lost Mallory? At the moment I believe so. The sad part is I liked his overall style, but nearly choked when he turned on that strange teenage girl voice for Mallory. What was one of the most memorable moments of Downbelow Station? Too many to mention, the book is a masterpiece. Would you be willing to try another one of Brian Troxell’s performances? Only if all the characters are male. I have read Downbellow station many times, and am amazed at C.J's skill at creating a timeless masterpiece. Would you consider the audio edition of Downbelow Station to be better than the print version? I have found that the audio versions of books to be very convenient in allowing me to keep up with all the books I want to read. I am very busy with three young kids it allows me to do what i need to do and still enjoy a good book. Especially with a story this eminence. Would you recommend Downbelow Station to your friends? Why or why not? Yes, I would also recommend it to my kids. I love imagining the effects our current lifestyles could have on the future. No there is just to much going on in this book and its fun to take some time away and let your imagination run. Arrrggg!! I am so tired of male narrators reading women voices in a nasally whine! This audiobook is by far the worst in this regard, and it utterlly ruins a great story for me. The female military ship captain sounds like a nasally, whiny, high school vally girl. No kidding. It is terrible. I litterally gasped out loud in dismay and irritation when I first heard this presentation of a strong, powerful female lead! I have read and loved this book. The story is a good one, one of C.J. Cherryh's best in my opinion. If you like C.J. Cherryh, complex socialiology, complex characters, or good political sci-fi stories in general, you'll like this story. However, perhaps you should listen to a sample if available, to get a feel for the narration. I was excited to see some C.J. 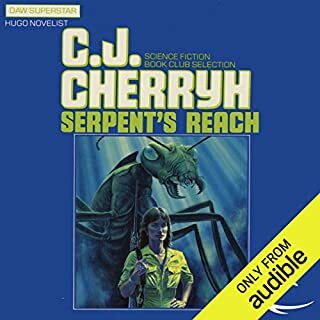 Cherryh books added to the audio offerings on AUdible, as she is my favorite author. But, I would have thought twice given the narration. Mankind has lived amongst the stars for generations with interstellar trade primarily occurring through a series of space stations that connect Earth and the outer worlds. Merchant ships are run by families that have spent generations in space and the same is true for the station faniliesl. Unfortunately for many, this long standing social structure is now breaking down as the outer planets have their own military fleet and they are rejecting the company way of life organized by Earth. As the company fleet falls back the conflict coalesces around Pell station which is in orbit around the planet Downbelow. Pell station quickly becomes overwhelmed with refugees and although they are doing their best to remain neutral, the powers that be on each side of the war are not likely to give them that chance. Things go from bad to worse quickly and the story follows a few different individuals caught up in this interplanetary refugee crisis. Long standing ways of life begin to crumble, old grudges start to be acted upon, and the primitive aliens native to Downbelow find they are caught in the middle of a war they don't even understand. This is a story about war and crisis with little to no humor and when it was all said and done I did enjoy it. Unlike many other reviewers I had no issue with Brian Troxell's narration and he did a good enough job with his voice acting to make all the characters recognizable. If you want sci-fi that resembles a historical account of war then give this one a go but if you prefer something more focused on entertainment then you might want to pass. 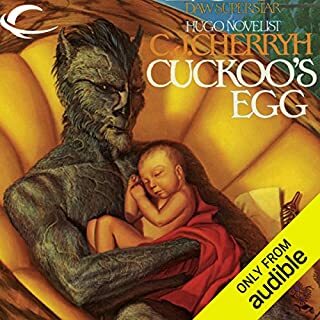 I almost gave up on this audio book - I found the narrator's voice extremely irritating and the book gets off to a very slow start as the author sets the scene for the story from the point of view of each of the main characters. I found it all very dense and confusing and it was so hard to stay focussed that I ended up listening to the first 4-5 chapters over and over again trying to make sense of what was going on. Fortunately I persevered and kept listening. Once past the first few chapters, the story picks up pace considerably. The action continues to move from the viewpoint of one character to another as events play out both on and off-station, giving the story a cinematic quality. As I became more familiar with each of the characters, I got hooked in and started to care about what happened to them. I will definitely read this book again. Great story for readers interested in interstellar politics. Some characters are rather complex and pleasantly fall somewhere in between on the moral spectrum. I've started this twice now, and both times it failed to grab my attention enough to keep me listening beyond an hour or two. Seemed well written, and read, as far as I could tell, but not for me. 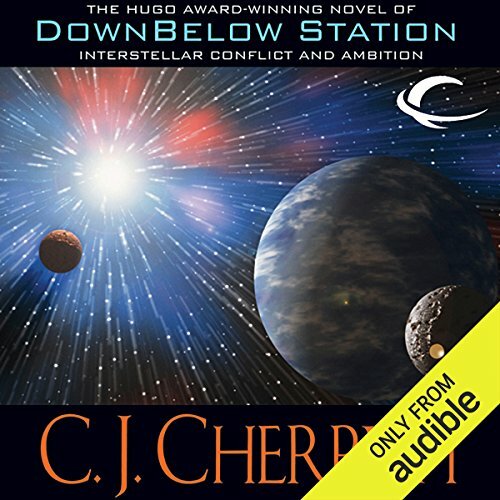 I love CJ Cherryh's Alliance-Union universe books,and was very happy to see them appearing on Audible.Downbelow Station is a complex book,but the narrator did a good job in keeping the different voices distinguishable,and he has been added to my list of favorite readers.If you enjoy classic sci-fi,then all the books in the series are worth reading,and I hope they are all coming to Audible soon! The world is much more carefully detailed than most novels, and in many cases it's the circumstances that steal the scene. The chain of events feels a lot richer and a lot more real than is typical in a book. This is a world well imagined, and carefully thought out. What three words best describe Brian Troxell’s performance? "Radio News Broadcaster". He reads the story almost like a documentary, which loans a very matter of fact aspect to the story and suits the subject matter quite well. His rendition of different character voices left something to be desired though, not horrible but not on par with everything else.